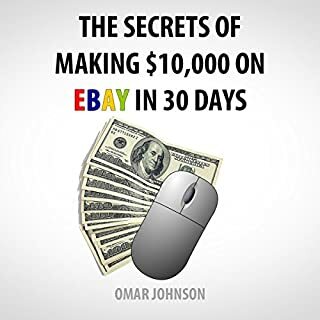 In in his absolute gold mine book The Secrets of Making $10,000 on eBay in 30 Days eBay power-seller Omar Johnson shows you the money-making strategies that he consistently uses to make money on eBay. You will learn how to dominate a niche market, how to outsmart and crush your eBay competition, how to insure that you profit from all of your eBay auctions, how to think, act and profit "outside of the box" and make a fortune. Would you try another book from Omar Johnson and/or Omar Johnson? NO. Sorry, if you're a powerseller, use some of those powersales to invest in a professional to read your book to us. You will never get your info across to listeners in this manner. Life is just too short! What was most disappointing about Omar Johnson’s story? That there might have been tidbits in here that I could in fact use in my own ebay business but I could not bear to listen to another word of this to find any nuggets in here. What didn’t you like about Omar Johnson’s performance? Like...talking...at...half...speed.... No. Like....reading...his...book...at...half...speed. Could not get beyond the first 10 minutes. If you could play editor, what scene or scenes would you have cut from The Secrets of Making $10,000 on eBay in 30 Days? Really ticked that this book was not available for return. If it had been, I would have taken a refund and not bothered to review. Since I have no other way to show my displeasure, it's 1-stars all the way. Hey, I paid $10+ for 10 minutes of introduction. I'm extremely disappointed. Where did this notion that we have the power to shape our own destiny come from? How can we separate wishful daydreams from the authentic work of creation? 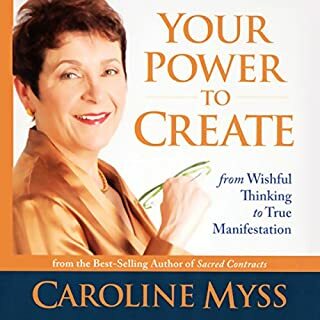 With her intuitive grasp of spiritual truths and her no-nonsense presentation, Caroline Myss cuts through the myths surrounding manifestation in her wholly original new audio program, Your Power to Create. I still buy Myss' material, and I buy it for the occasional, very worthwhile nuggets. This book had 2 that were good, one especially so. It's just so hard to get beyond her harsh tone and hear the good stuff beyond the attitude of you're stupid/weak/worthless/whiny and attacks on others' spirituality. But when she's got a good nugget of info, it's really, really good. For this reason, I limit myself to no more than one Myss book a year because it's all I can handle of her personality. With the fast paced, high-tech entrance of the new century, common sense seems to be slowly sliding into the background. It’s not surprising that we, a lot of times, run in circles like a dog chasing its tail, desperately trying to find some balance. Uncommon Sense breaks the complex into the simple. It is a reality check that allows us to discover what really matters most in our lives. I was very disappointed. There's seldom an audiobook that I can't get through. It might have been more helpful if the authors hadn't narrated it themselves, though I would have thought they might have read their own words with more feeling than a narrator. Just too much like being read a personal log of experiences and beliefs. 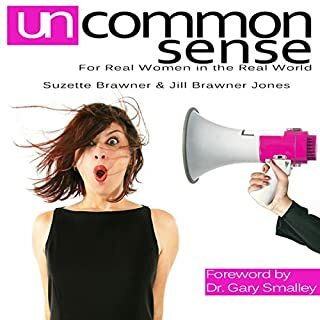 The "real world" seemed to me more of a throw-back to the 1950's but perhaps because I did not understand that this was Christian handbook. No problem with that itself--I often listen to inspiring and motivation Christian material--but based on the book description, I was looking for a broader perspective. Nothing new or useful for me unfortunately. This book really sucked me right in. I wasn't alone either. I was 8 chapters in when my teen daughter caught me listening...and sat down with me until it was over. 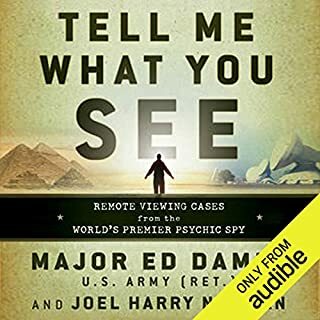 Decorated army officer Major Ed Dames tells the shocking true story of his time asoperations and training officer for the Defense Intelligence Agency's top-secret Psychic Intelligence Unit. Together with his PSI Spyteam, Dames used the practice of remote viewing to uncover accurate and verifiable military intelligence by going where no intel operatives on the ground could go - into the very mind of the enemy. Loved the material presented here. I was familiar with much of it already. Really, I have only 2 complaints: 1. The book did seem to jump around a bit so there were times I had a hard time following it, and 2. toward the half-way point, I started to see things in Maj Dames' personality that I found personally abrasive. I understand based on his description of his early life why those elements came out in his personality but it soured me a little on the book and made it hard to root for him when he was fighting for his career or goals. Awful. 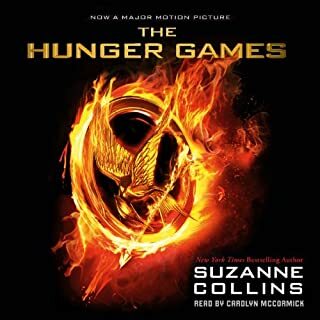 This is the first time I've not been able to get through an audiobook, and especially when it's on my favorite subject. 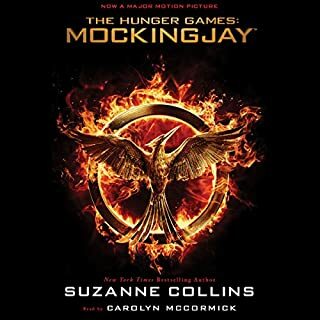 I thought the first 2 times I tried that it was the overly dramatic and downright odd sound effects or the structure of the book, but on the third try, I realized that there was just nothing new in this one. 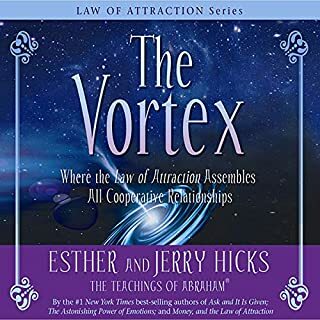 I've gotten used to listening to the Abraham-Hicks books on the same subject and thought this would suffice until the next Hicks book, but no. 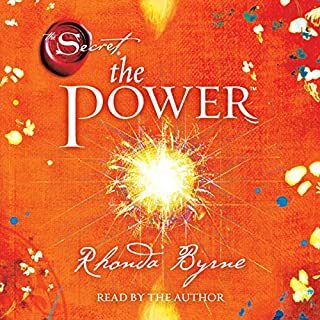 Save your money: reread The Secret and then graduate to the Abraham-Hicks material on the Law of Attraction, manifesting, serenity, etc. I hate to say it, but this book is kindergarten level by comparison. Wish I hadn't bought it. My teen daughter and I discovered the series a month ago and stayed up several days/nights to finish it together. The first 2 books were enthralling and we could hardly wait the 3 weeks for the final installment. I was mesmerized with how the author twisted the plot this way and that and thought I was going to love this one too...until about 3/4ths of the way through when it fell apart into hopelessness, gore, more hopelessness. I understand killing off beloved characters when there's good reason but (you'll know what I'm talking about) the pivotal death took the entire storyline down a path to a very depressing, disappointing, unsatisfying ending. Yep, I know things in real life don't turn out satisfying every time, but I read the series to escape from real life. I just finished the book and wish I'd never gone beyond the first one, or at least stopped at the second one and imagined a future of hope. This collection of Braden's work is thought-provoking as usual. I didn't realize that some of this was from the late 90's and would like to see what's changed/been confirmed since esp as we near 2012. As an empath, I completely agree with his theories on shifts in the Earth and the lost mode of prayer. Some of the stories are repeated in each of the parts of this collection but they're good stories and are appropriate to each part of the collection, which stand alone. 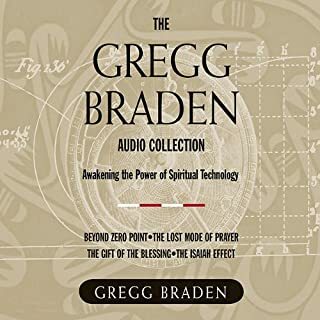 Having studied Christianity, Wicca, and the Law of Attraction, Braden offers a little different viewpoint that nicely complements my studies to date. More, please! Unlike most of the Abraham material, this book didn't resonate for me for at least the first few hours. This may be because I've listened to so many workshops on this subject, so it really wasn't new material and didn't click at all for me during the first 2 hours. It worked much better for me when they got to the Q&A part and then the workshop example at the end of the audio was worth the entire book. Their answers to teaching children about alignment was exactly what I needed to hear. I'd recommend their money book or their emotions book over this one if you're new to this material.